Desweiteren wird momentan über die aktuellen Lage der Bundesliga Nord diskutiert. 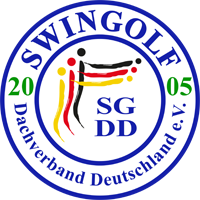 Betroffen ist der SGC Hamburg und der SwinGolf Platz Rastede. Auf der Vereinsversammlung des SGC Hamburg im Oktober wird verküdet, dass der jetzige Vorstand sein Amt niederlegen wird. 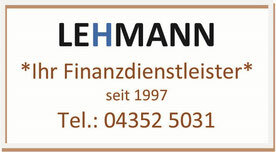 Wie es danach mit dem Verein weitergeht, ob jemand also die zukünfitge Leitung übernimmt, wird demnach noch bekannt gegeben. Als kleiner Ersatz zu dem Ligaspieltag in Hamburg, wird zurzeit über die Aufnahme des SwinGolf PLatzes in Rastede diskutiert. Ohne viel Mehr-Aufwand können so die 6 Ligaspieltage beibehalten werden. Bis zum 31.Oktober soll entschieden werden ob es dazu kommt. Bis dahin könnt ihr eure Meinung dazu gerne äußern und an den Vorstand übermitteln oder hinterlasst sie in den Kommentaren. Excellent post. I was checking continuously this weblog and I am impressed! Extremely useful information specifically the last part :) I handle such information much. I was looking for this particular info for a very long time. Thanks and good luck. I've been browsing online more than 2 hours today, yet I never found any interesting article like yours. It's pretty worth enough for me. In my opinion, if all website owners and bloggers made good content as you did, the internet will be much more useful than ever before. It's an remarkable article in support of all the online people; they will obtain advantage from it I am sure. Excellent post. I was checking constantly this blog and I'm impressed! Extremely helpful information particularly the last part :) I care for such info much. I was looking for this certain information for a very long time. Thank you and good luck. Just want to say your article is as astounding. The clearness in your publish is simply cool and i can suppose you are a professional in this subject. Well together with your permission allow me to grab your feed to keep up to date with impending post. Thanks a million and please carry on the rewarding work. Hey there! I've been reading your web site for a while now and finally got the courage to go ahead and give you a shout out from Humble Tx! Just wanted to mention keep up the good job! Thanks , I have just been looking for information approximately this subject for ages and yours is the greatest I've discovered till now. But, what in regards to the bottom line? Are you positive concerning the source? My brother recommended I may like this website. He was once entirely right. This put up truly made my day. You cann't consider just how so much time I had spent for this info! Thank you! Hello Dear, are you truly visiting this website regularly, if so then you will definitely get fastidious experience. Post writing is also a excitement, if you know afterward you can write otherwise it is complex to write. Very great post. I simply stumbled upon your weblog and wanted to mention that I have truly loved surfing around your blog posts. After all I will be subscribing on your feed and I'm hoping you write once more very soon!